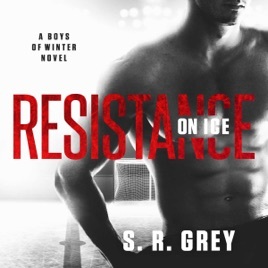 Praised by Wall Street Journal best-selling author Ilsa Madden-Mills as "the usual Grey crisp writing, lovable heroes that you kinda want to slap, and a heroine that doesn't back down," Resistance on Ice is another fun standalone novel in the best-selling Boys of Winter hockey romance series. When they're reunited, facing off against the fiery cocktail waitress becomes the challenge of his life. Lainey is furious with him for dumping her and wants nothing more than to kick him in the junk. But Nolan - typical man - is only interested in getting Lainey back in his bed. Resistance on Ice is a fun standalone novel and the second installment in the best-selling Boys of Winter hockey romance series.